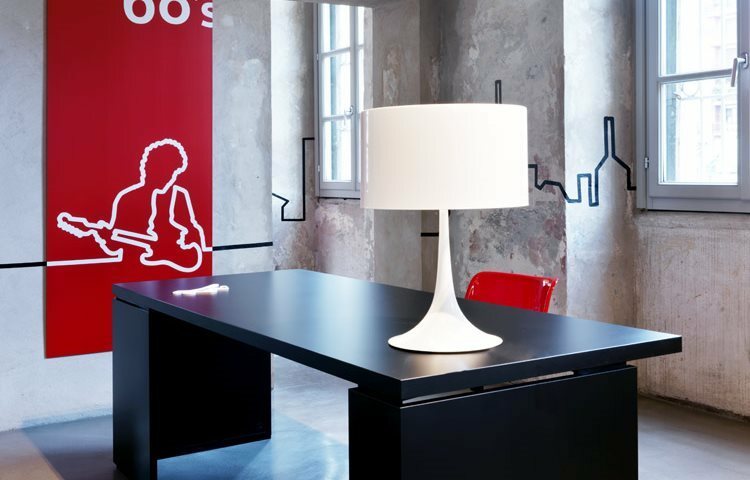 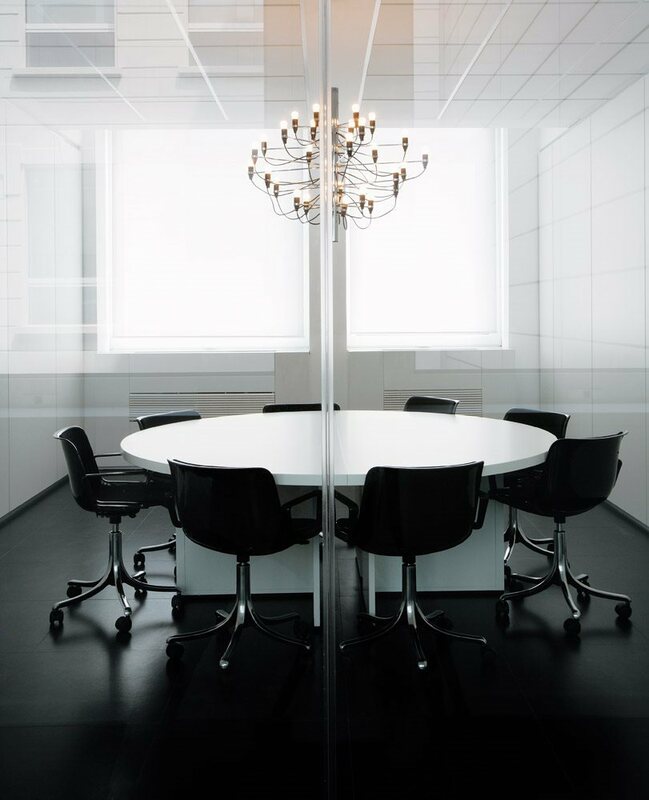 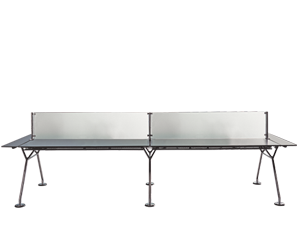 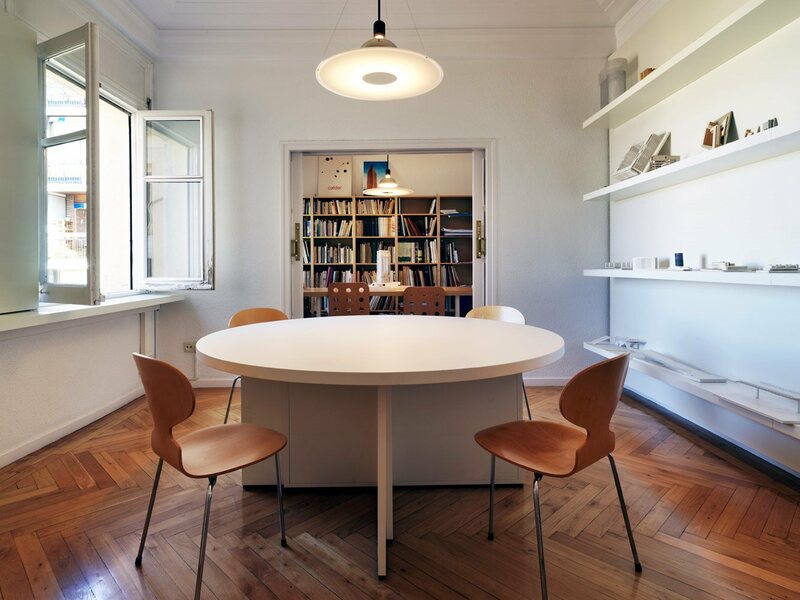 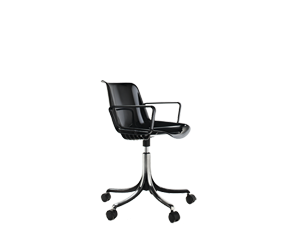 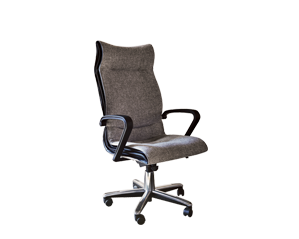 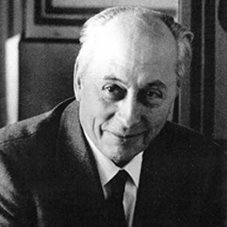 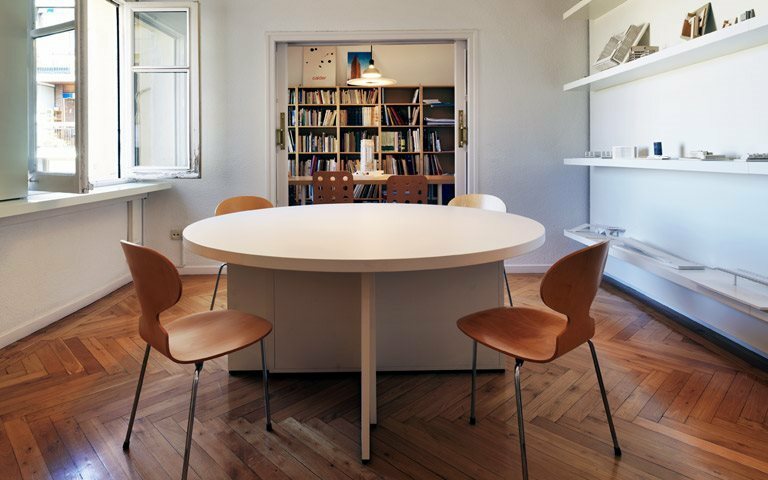 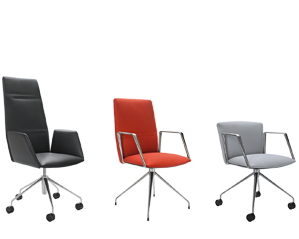 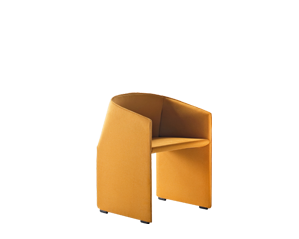 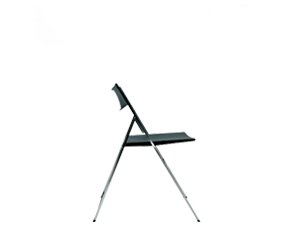 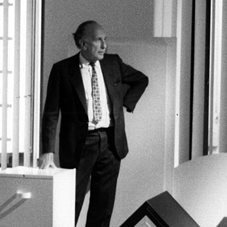 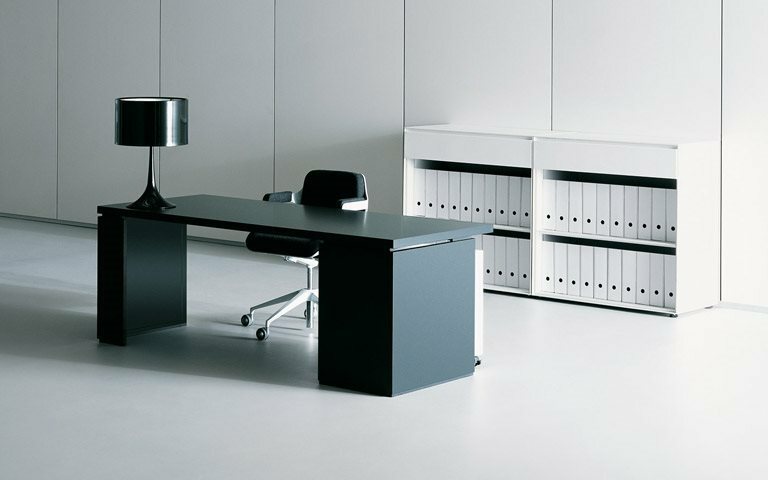 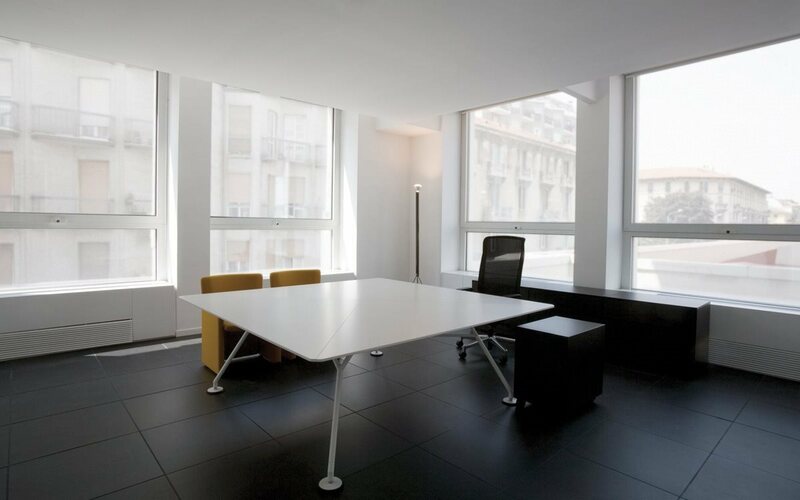 When the Graphis system was first presented at the 14th Triennial Exhibition in Milan in 1968, it heralded a revolution in the design of office furniture. 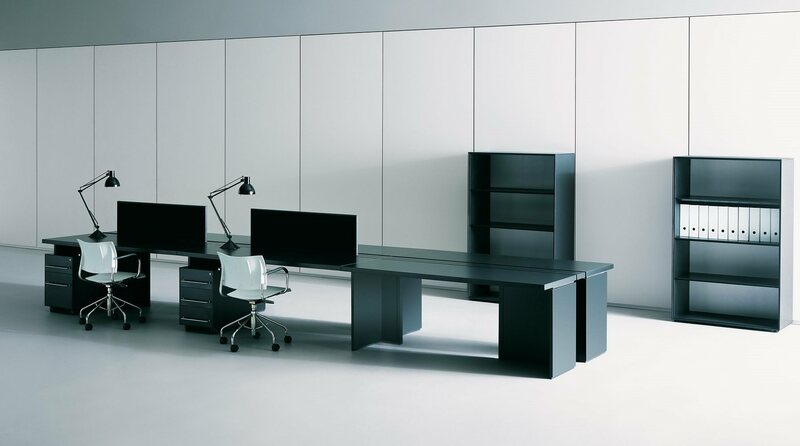 In perfect harmony with the computer art of the period, the system’s essential, elementary forms epitomised rationality. 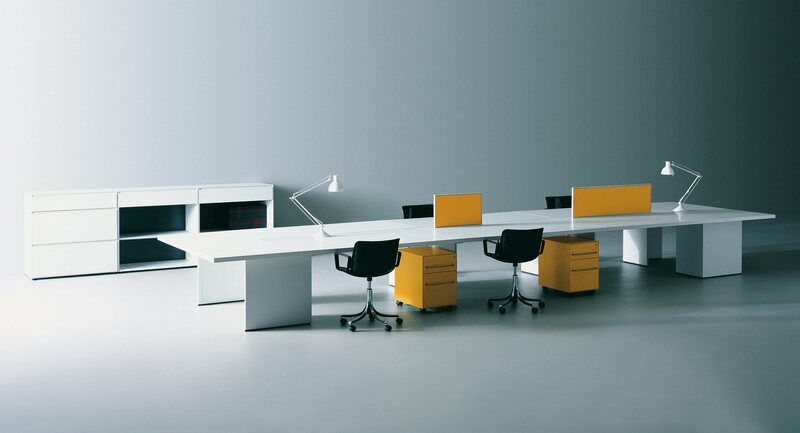 The design is extremely modern still today. 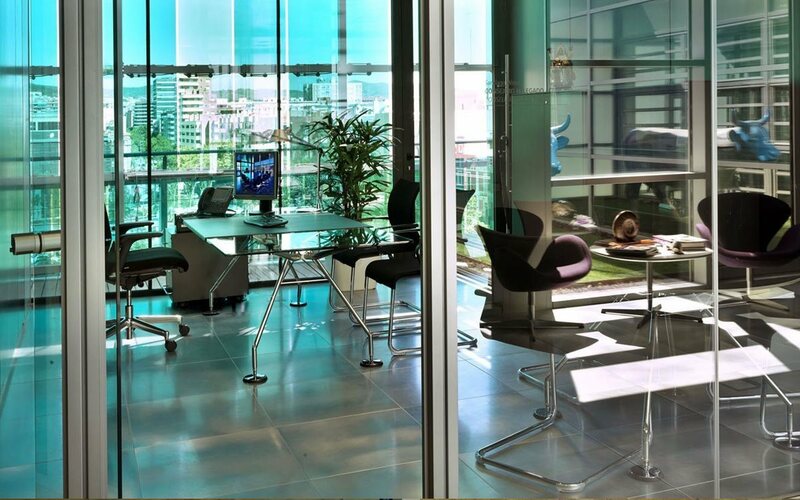 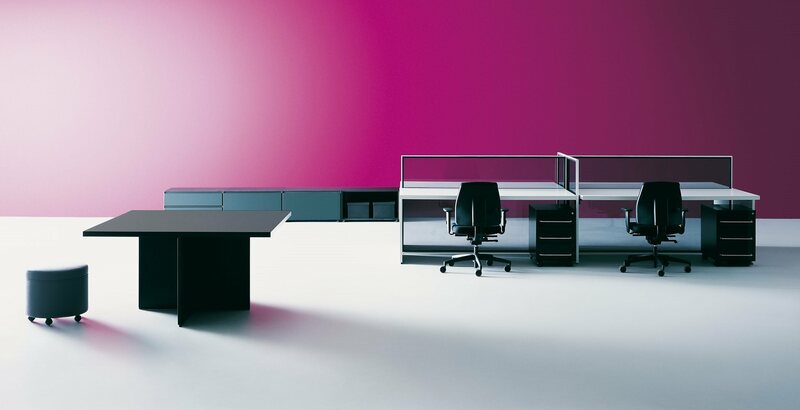 Graphis was the first office system specifically designed by Tecno to permit unlimited and flexible combinations of elements that could allow the workplace to grow in time and space. 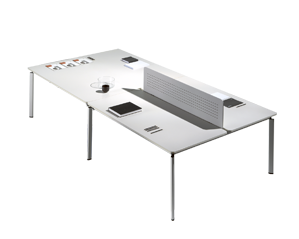 Attention to detail makes all the difference in Graphis, and allows the design’s minimalist lines to enhance even the most complex projects. 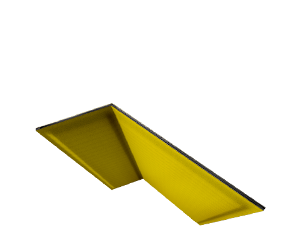 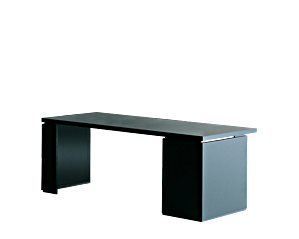 The eye cannot fail to appreciate the box section bases with concealed welds, and the clean lines of the worktops that appear detached from their bases, creating an impression of lightness. 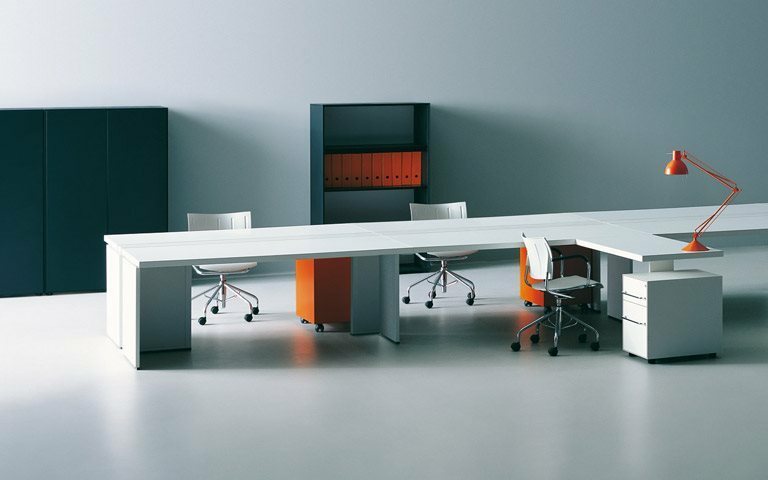 Logically designed around a minimum number of versatile and modular components, Graphis provides the perfect solution to the need for flexibility in composition and grouping. 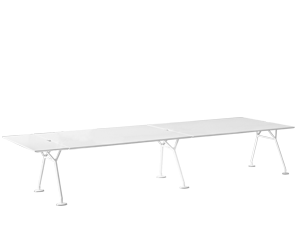 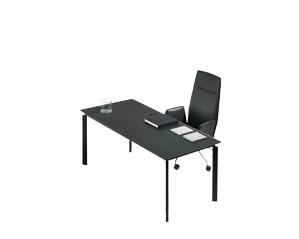 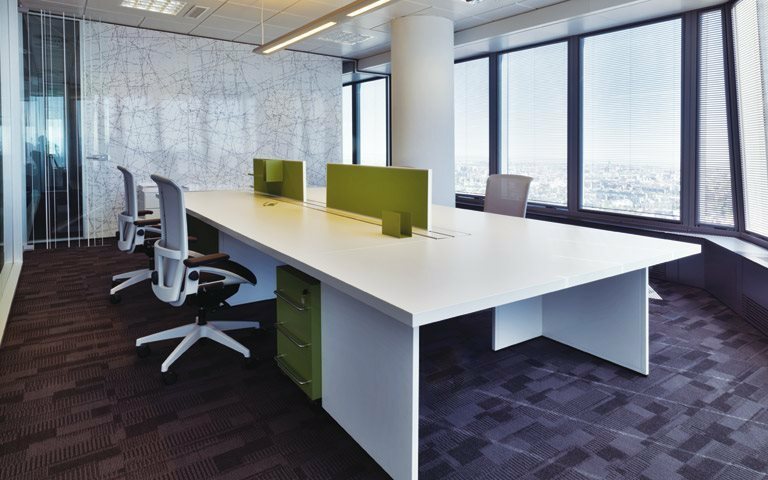 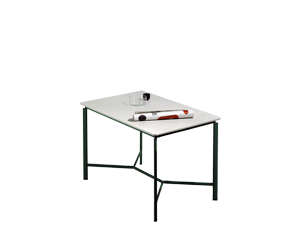 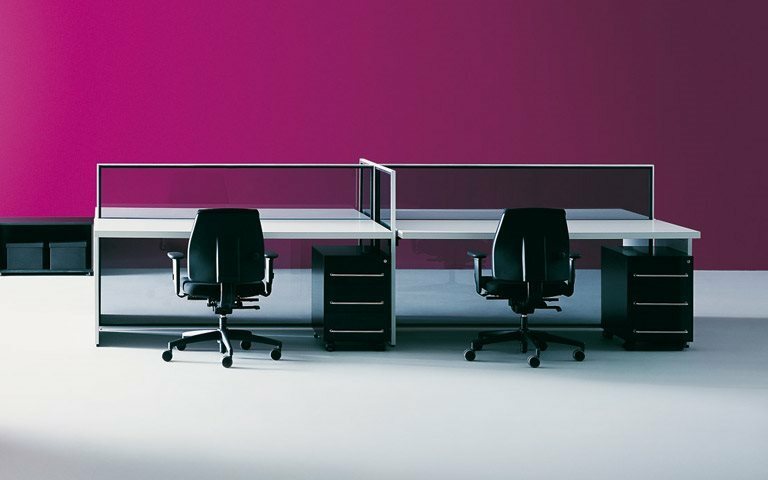 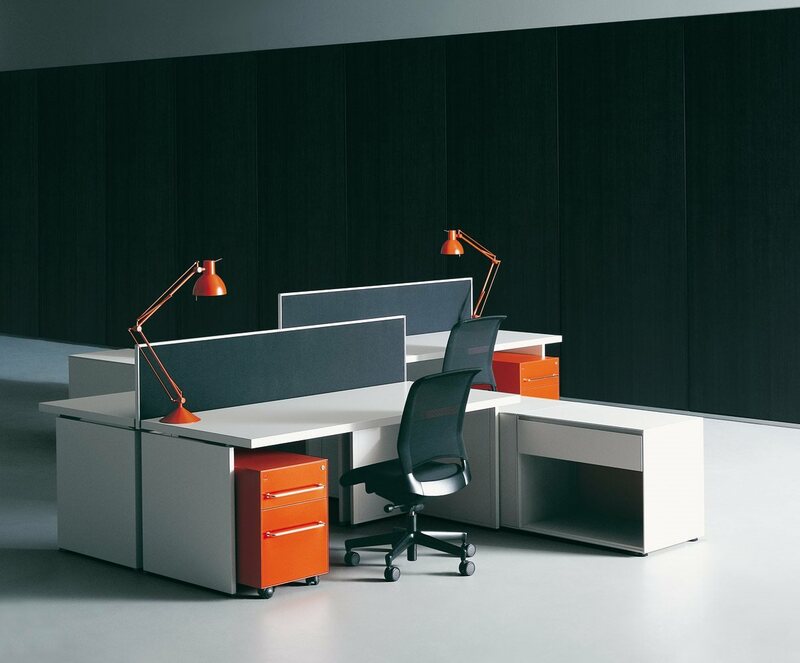 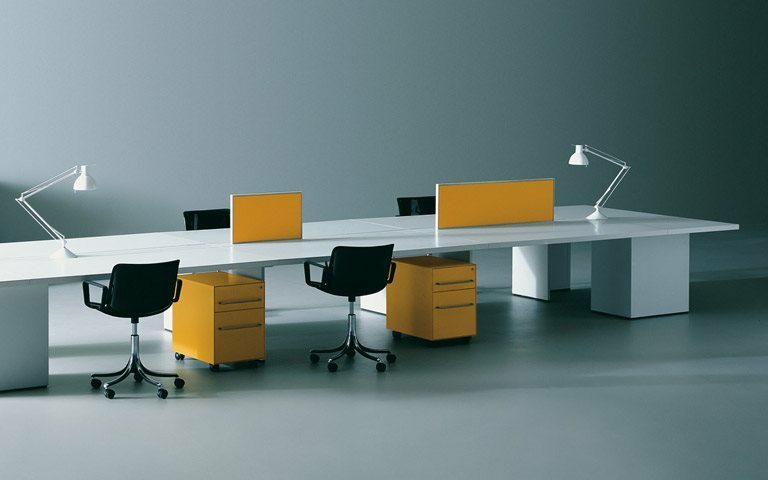 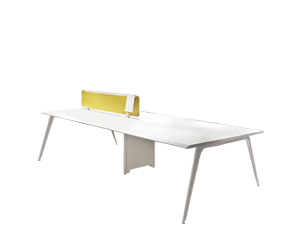 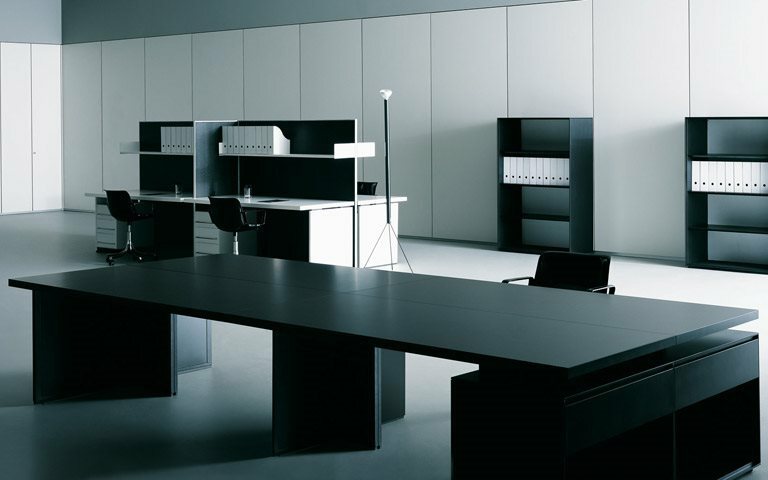 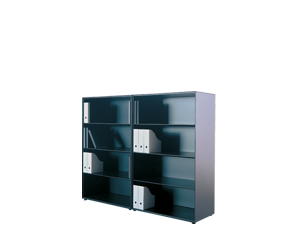 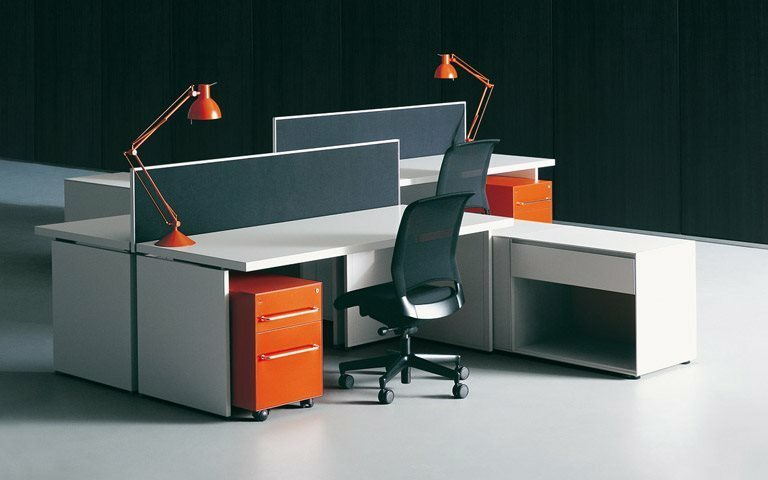 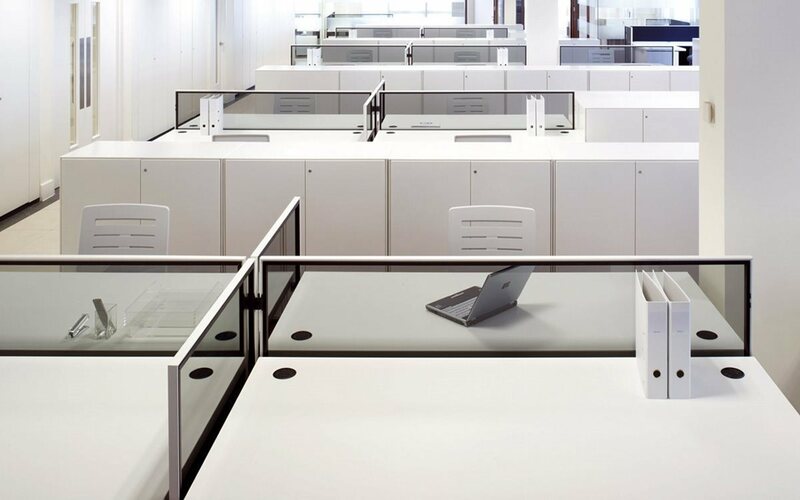 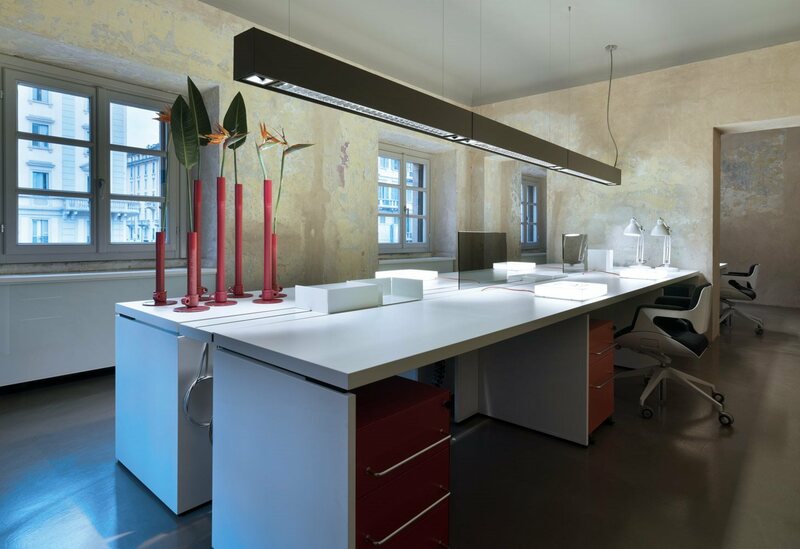 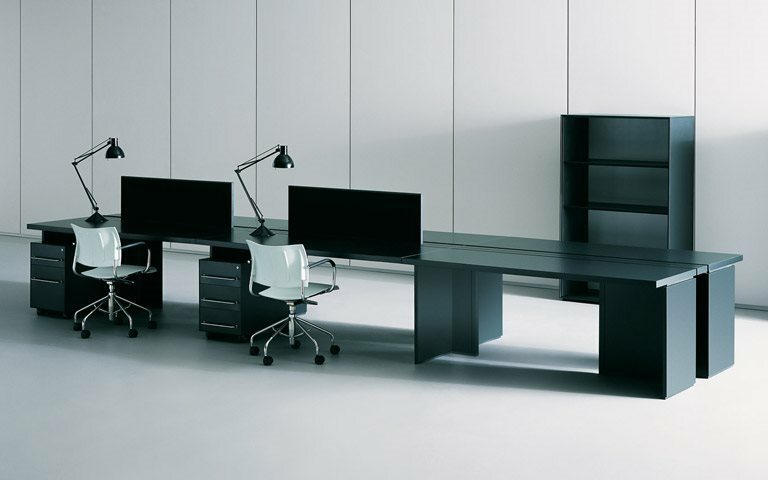 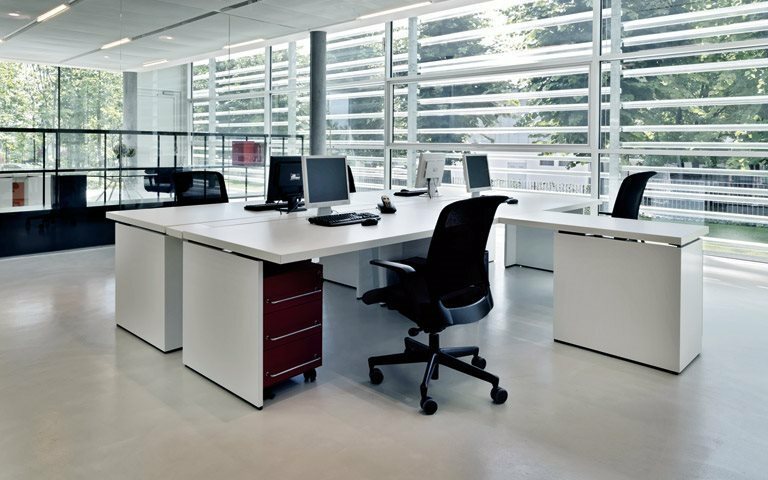 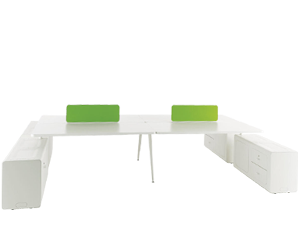 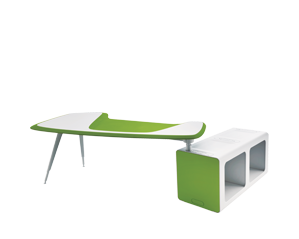 The system permits the easy formation of layouts from simple individual workstations to extended, shared workstations, arranged in line or around partitioning panels.The original Graphis system was made up of just three basic elements: a white painted “L” shaped sheet metal frame, a drawer unit and a laminate worktop. 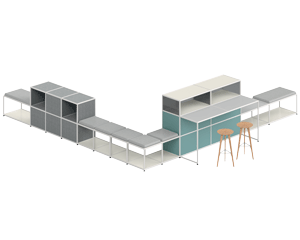 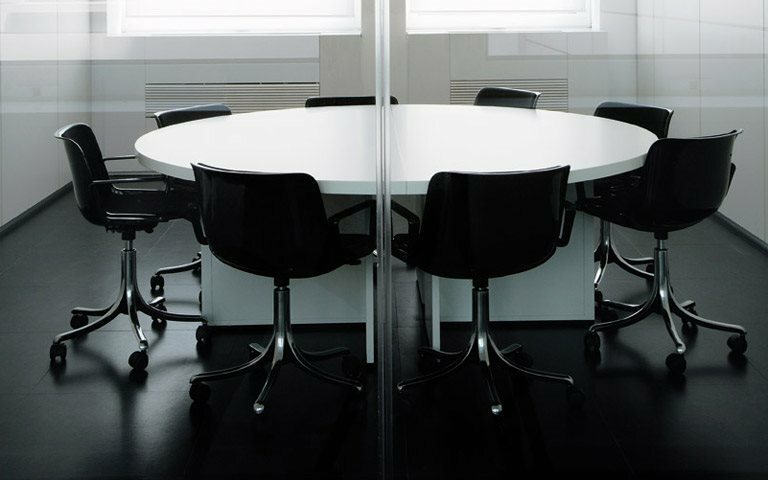 Over the years, the Graphis system has been expanded by the addition of other elementsincluding containers, corners, meeting tables, screens and audio-video tables. 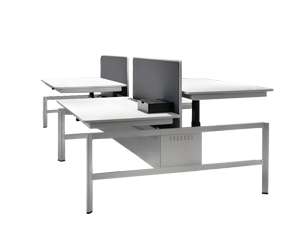 The system, which has remained a best seller for many years, was updated by Tecno in 2005. 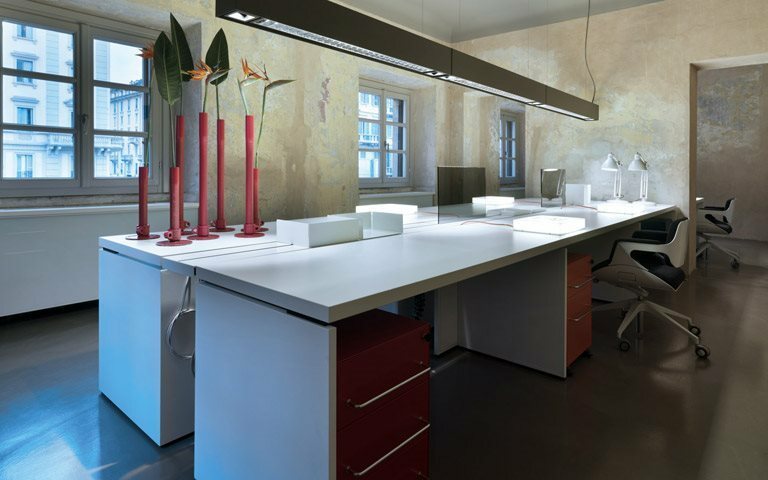 Various details were improved and a wide range of new colours and materials introduced. 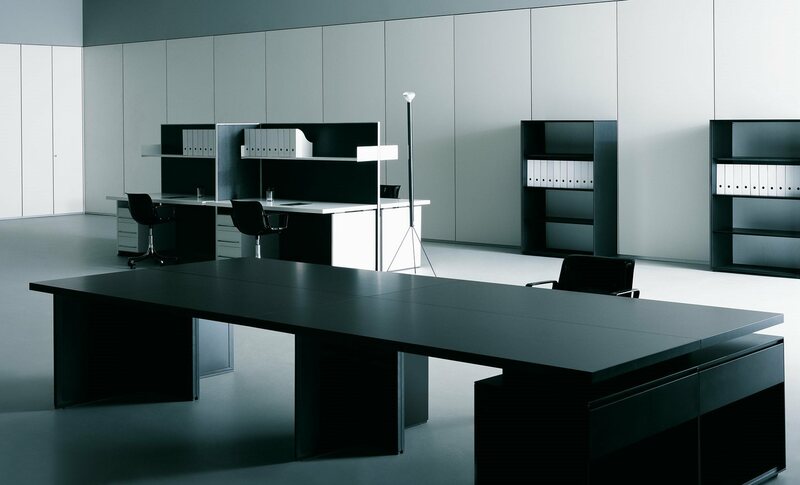 Melamine tops are now available in white, light grey, dark grey, light oak and dark oak. 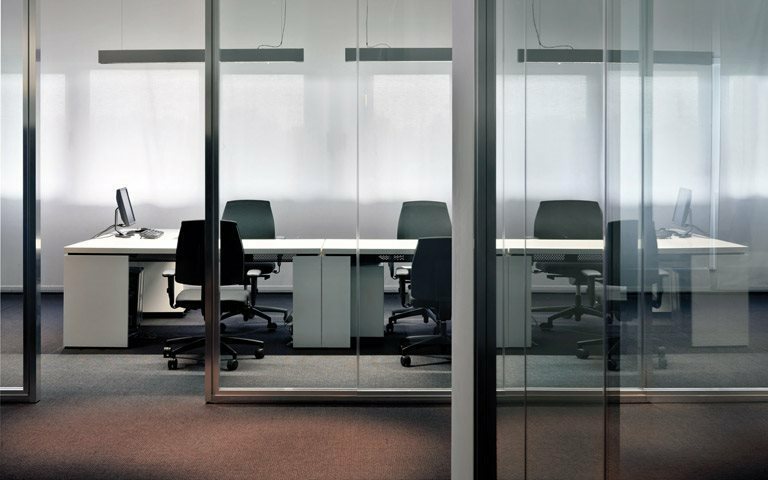 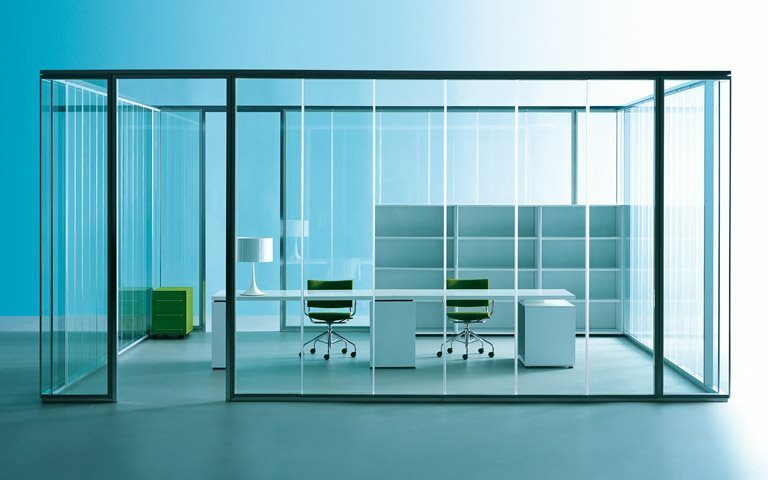 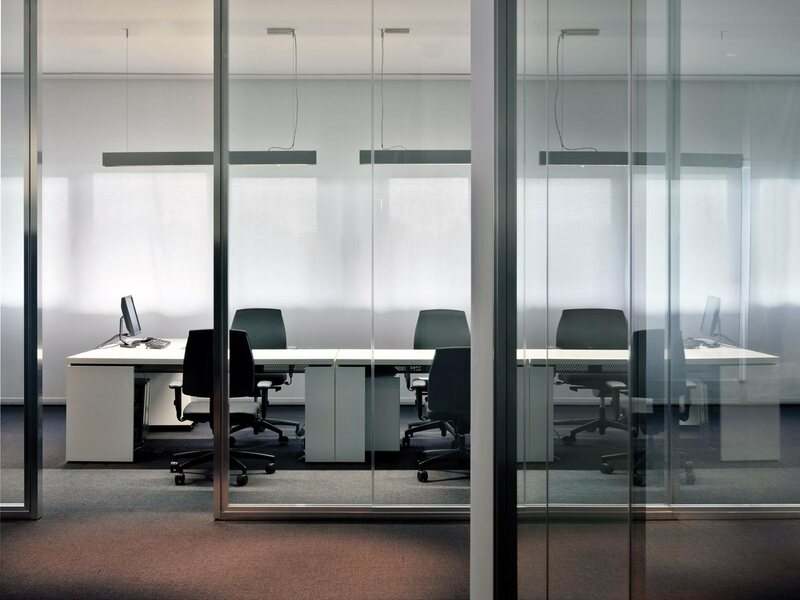 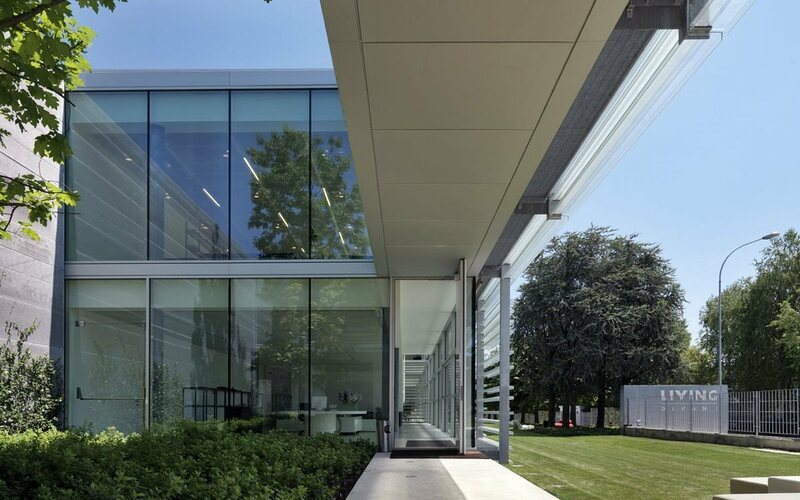 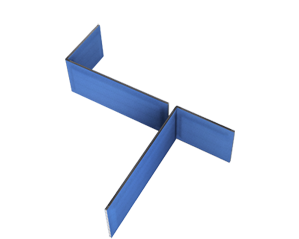 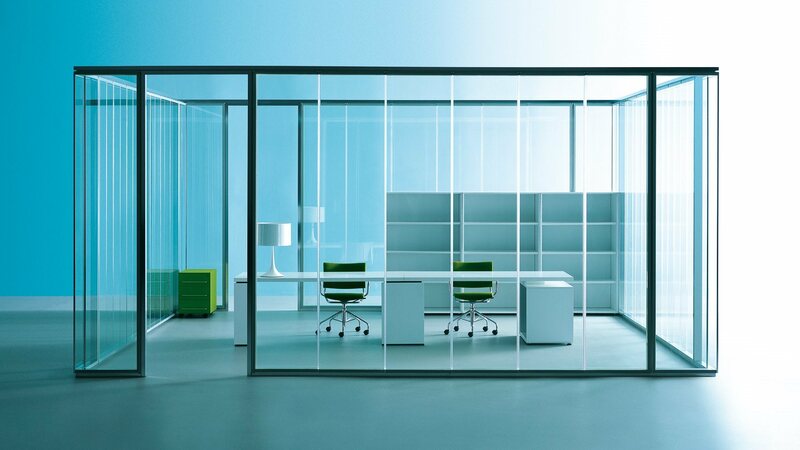 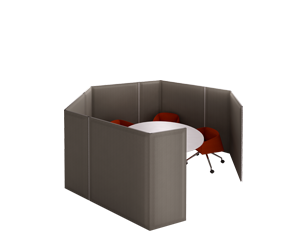 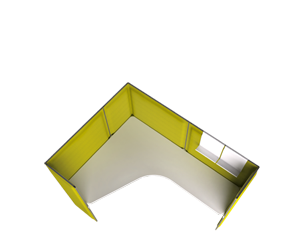 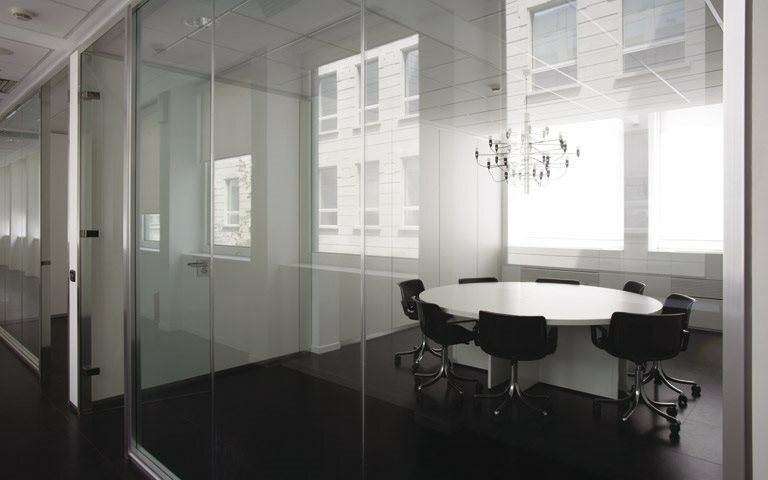 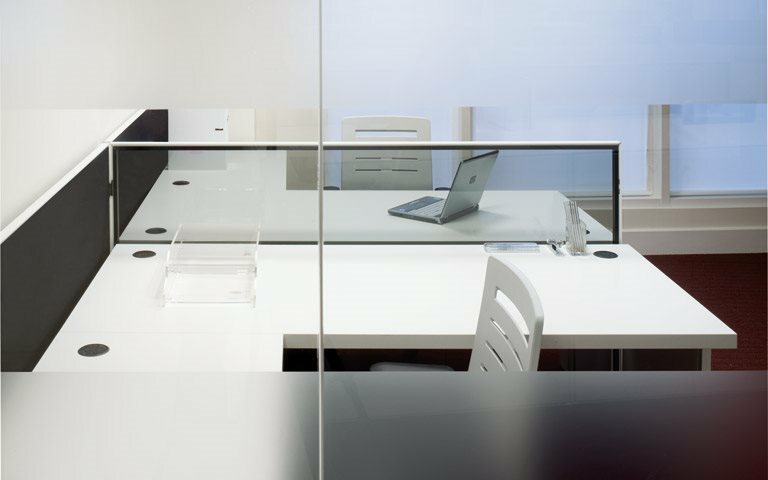 Bases and partition frames feature paint finishes in white, light grey or dark grey, with the partitions themselves in fabric, melamine or smoked glass.